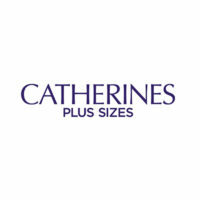 Catherine’s Plus Sizes is a specialty retail shopping haven for plus size ladies. For women whose sizes are 6W-34W and 0X-5X, this specialty store is one of the top names in making fashionable and quality clothes. The lady who inspired the name is Catherine Weaver. A man named Ralph Levy bought the Catherine Stout Shop in 1960 from Ms Weaver. This started the growth from one store to hundreds all over the United States. The company’s stores have expanded throughout the years to a total of over 400 locations. As the online market grew, the company has also improved its online presence through social media and its website. As an employer, it provides its full-time employees benefits including paid time off and healthcare. Another perk that you get as an employee is the 50% store discount, which is available to both part-time and full-time workers. From a sales associate to a store manager, Catherine’s Plus Sizes stores offer a dynamic workplace. There is always something to learn in terms of time management, patience, and commitment to further your career. How old do you have to be to work at Catherine’s Plus Sizes? The minimum age requirement to work at Catherine’s Plus Sizes is 16 years old. A positive attitude is also a plus since you will most likely be dealing with customers at the front line. Sales associate- Sales associates assume several roles when in a store. There are instances where you are helping customers with questions. Other times, you handle the cash registry, do inventory, and perform sales tasks. Key holder- You are responsible in overseeing the opening and closing of the establishment. Your role involves setting an example as you assume the role of a leader in directing order in the store. Cashier- Your role is to ensure accurate and honest handling of payments. You must be organized enough to keep track of regular financial reports relating to payments and transactions you handled. Technical designer- This role requires a sharp eye and attention to details. Your responsibility is to verify measurements to validate fit or make recommendations to vendors if improvements are needed. Relevant previous experiences or showing a good track record at your entry-level position can open up doors to other positions. These include shift lead, assistant store manager, supervisor, and many others. Application can start once you complete an online profile, similar to a résumé. Once this has been accomplished, you can start looking for open positions to apply for. You may also visit one of the stores in person to apply. You may apply by going to their website and creating a profile via ESS. Once you’re there, you can click the Associate Internal Career Center link. Alternatively, you can bring your résumé to the company’s nearest retail store directly. When filling out your online profile, put in as much detail as you can. No entry should be left blank, as much as possible. Providing more details gives you a better shot at getting a follow up call. Most of the work you’ll be doing will involve a certain degree of sales. Your résumé should highlight your personal achievements. It should be presentable and organized to reflect how well you can do your job. When you get an interview at a store or over the phone, showcase how great your customer service skills are. Be upbeat and learn about the product so you can apply it to realistic customer scenarios. Their culture embodies a sense of togetherness. The aim is to build a community where one helps another achieve their goal. This goes way back to its founder, who wanted to help plus size women feel and look great. The chain store joins hands with the American Cancer Society to help fund breast cancer research. In an effort to spread awareness and raise funds, part of the payment for participating clothes gets donated to the research. Catherine’s Plus Sizes has gone through different owners and managements. In spite of that, it has maintained its identity of providing quality clothing to plus size women from different locations. Catharine’s Cares gives back to the community to inspire women and the rest of the society. It supports various non-profit organizations such as the American Diabetes Association, Jaffe Awards, and the Breast Cancer Research Foundation.